As the German Army smashes deep into the Soviet Union and the defenders of the Motherland retreat in disarray, a new squadron arrives at a Russian forward airbase. Like all night bomber units, they will risk fiery death flying obsolete biplanes against the invader—but unlike the rest, these pilots and navigators are women. 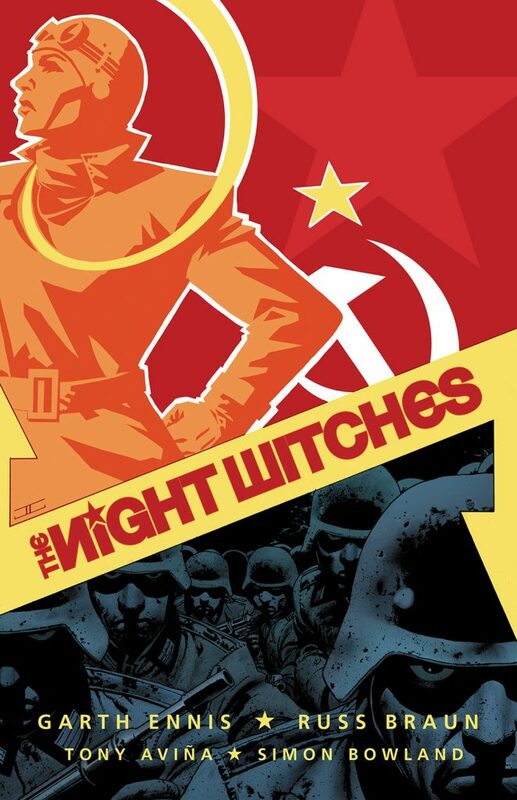 In the lethal skies above the Eastern Front, they will become a legend—known to friend and foe alike as the Night Witches. With casualties mounting and the conflict devouring more and more of her comrades, Lieutenant Anna Kharkova quickly grows from a naive teenager to a hardened combat veteran. The Nazi foe is bad enough, but the terrifying power of her country's secret police makes death in battle almost preferable. Badly wounded and exiled from her own people, Anna begins an odyssey that will take her from the killing fields of World War II to the horrific Soviet punishment camps—and at the top of the world, high above the freezing Arctic Ocean, this Night Witch finds she has one last card to play. "Very sophisticated. I recommend it to my fellow academics. You can really learn a lot from a book like this." Russ Braun has been working in comics for almost 30 years, with a 7-year break for a stint with Disney Feature Animation. Best known for his frequent collaborations with Garth Ennis on The Boys, Battlefields, Where Monsters Dwell, Sixpack & Dogwelder and most recently Jimmy's Bastards. Garth Ennis has been writing comics since 1989. Credits include Preacher, The Boys and Hitman, with successful runs on The Punisher and Fury for Marvel Comics. As well as his own war series War Stories, Battlefields, and Dreaming Eagles, he recently revived the classic British aviation character Johnny Red, and has produced two series of World of Tanks for Wargaming.net. Originally from Northern Ireland, Ennis now resides in New York City with his wife, Ruth.